On the corner of American Street and Joy Road, Fabiola Toussaint thought she would finally find une belle vie - a good life. 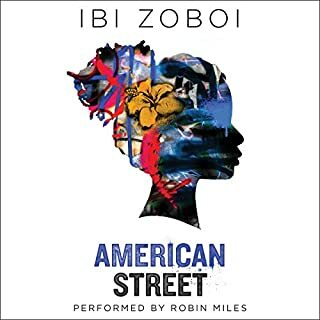 But after they leave Port-au-Prince, Haiti, Fabiola's mother is detained by US immigration, leaving Fabiola to navigate her loud American cousins - Chantal, Donna, and Princess - the grittiness of Detroit's West Side, a new school, and a surprising romance all on her own. Marin hasn't spoken to anyone from her old life since the day she left everything behind. No one knows the truth about those final weeks. Not even her best friend, Mabel. But even thousands of miles away from the California coast, at college in New York, Marin still feels the pull of the life and tragedy she's tried to outrun. Now, months later, alone in an emptied dorm for winter break, Marin waits. Mabel is coming to visit, and Marin will be forced to face everything that's been left unsaid and finally confront the loneliness that has made a home in her heart. 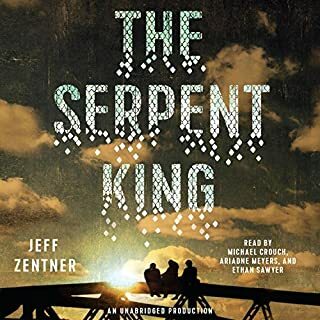 Dill has had to wrestle with vipers his whole life - at home, as the only son of a Pentecostal minister who urges him to handle poisonous rattlesnakes; and at school, where he faces down bullies who target him for his father's extreme faith and very public fall from grace. He and his fellow outcast friends must try to make it through their senior year of high school without letting the small-town culture destroy their creative spirits and sense of self. 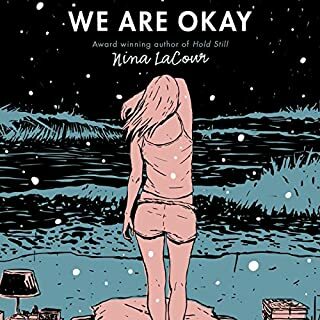 One of the best novels I've listened to in years. A cannon. A strap. Or, you can call it a gun. That's what 15-year-old Will has shoved in the back waistband of his jeans. See, his brother Shawn was just murdered. And Will knows the rules. No crying. No snitching. Revenge. That's where Will's now heading, with that gun shoved in the back waistband of his jeans, the gun that was his brother's gun. He gets on the elevator, seventh floor, stoked. He knows who he's after. Or does he? 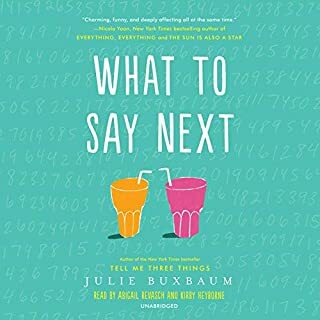 When an unlikely friendship is sparked between relatively popular Kit Lowell and socially isolated David Drucker, everyone is surprised, most of all Kit and David. Kit appreciates David's blunt honesty - in fact, she finds it bizarrely refreshing. David welcomes Kit's attention and her inquisitive nature. When she asks for his help figuring out the how and why of her dad's tragic car accident, David is all in. But neither of them can predict what they'll find. Can their friendship survive the truth? At 17, Mei should be in high school, but skipping fourth grade was part of her parents' master plan. Now a freshman at MIT, she is on track to fulfill the rest of this predetermined future: become a doctor, marry a preapproved Taiwanese Ivy Leaguer, produce a litter of babies. With everything her parents have sacrificed to make her cushy life a reality, Mei can't bring herself to tell them the truth - that she (one) hates germs, (two) falls asleep in biology lectures, and (three) has a crush on her classmate Darren Takahashi, who is decidedly not Taiwanese. Carver Briggs never thought a simple text would cause a fatal crash, killing his three best friends, Mars, Eli, and Blake. But now Carver can't stop blaming himself for the accident, and, even worse, a powerful judge is pressuring the district attorney to open up a criminal investigation. 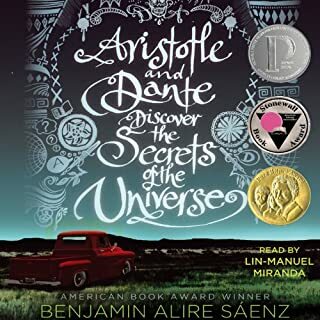 Luckily, Carver has some unexpected allies: Eli's girlfriend, the only person to stand by him at school; Dr. Mendez, his new therapist; and Blake's grandmother, who asks Carver to spend a "goodbye day" together to share their memories and say a proper farewell. If it weren't for the 57 bus, Sasha and Richard never would have met. Both were high school students from Oakland, California, one of the most diverse cities in the country, but they inhabited different worlds. Sasha, a white teen, lived in the middle-class foothills and attended a small private school. Richard, a black teen, lived in the crime-plagued flatlands and attended a large public one. Each day, their paths overlapped for a mere eight minutes. But, one afternoon, on the bus ride home from school, a single reckless act left Sasha severely burned. Vivian Carter's mom was a Riot Grrrl in the 1990s, but now she and Viv live a pretty quiet life in a small Texas town. When Viv witnesses a series of sexist incidents at her high school, she takes a page from her mom's past and makes a feminist zine that she distributes anonymously to her classmates. Viv is just blowing off steam, but before she knows it she's started a revolution. Now that Dimple Shah has graduated, she's ready for a break from her family - especially from Mamma's inexplicable obsession with her finding the Ideal Indian Husband. Ugh. But Dimple knows that her mother must respect that she isn't interested in doing that right now - otherwise she wouldn't have paid for her to attend a summer program for aspiring web developers, right? When 17-year-old Rowan Chase finds a skeleton on her family's property, she has no idea that investigating the brutal century-old murder will lead to a summer of painful discoveries about the present and the past. Nearly 100 years earlier, a misguided violent encounter propels 17-year-old Will Tillman into a racial firestorm. 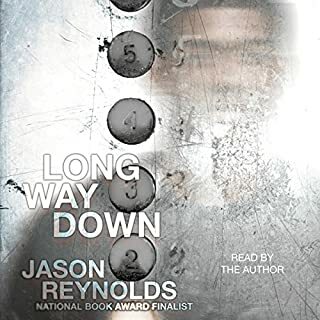 In a country rife with violence against blacks and a hometown segregated by Jim Crow, Will must make hard choices on a painful journey towards self-discovery and face his inner demons in order to do what's right the night Tulsa burns. 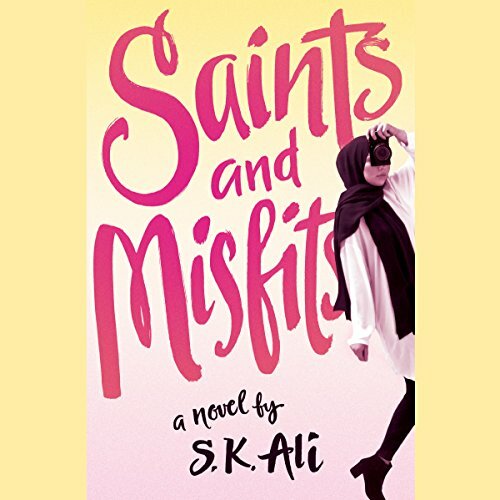 Saints and Misfits is an unforgettable debut novel that feels like a modern-day My So-Called Life...starring a Muslim teen. 2. Misfits, people who don't belong. Like me - the way I don't fit into Dad's brand-new family or in the leftover one composed of Mom and my older brother, Mama's-Boy-Muhammad. Also, there's Jeremy and me. Misfits. Because although, alliteratively speaking, Janna and Jeremy sound good together, we don't go together. Same planet, different worlds. 3. Monsters. Well, monsters wearing saint masks, like in Flannery O'Connor's stories. People think he's holy, untouchable, but nobody has seen under the mask.